Bon Accord is a Natural material. 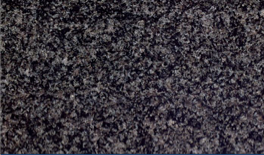 Bon Accord is a Medium priced Granite stone. Bon Accord is mostly dark grey and black. It’s been very popular over the years and will look the part in both modern and traditionally designed kitchens. Extremely hard wearing and resilient, this will be a good choice for any kitchen. Bon Accord is a Natural Granite from South Africa, Landford Stone offer this type of stone in a variety of thicknesses and finishes. Bon Accord is a Medium priced stone and will look incredible in your home!